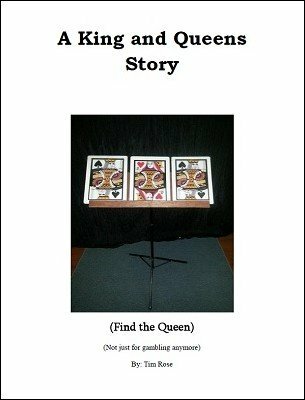 Maybe you thought that the time tested "Find the Queen" was only meant as a gambling swindle. That's no longer the case. Get those cards out of storage, blow off the dust and get ready to spin a story of curiosity and wonder to suit young and old alike. This is a full routine laid out for you word for word with all the moves. Complete with additional notes on handeling, presentation and staging this versatile and easy to do version is a can't miss. Now you can take the smallest show and make it look like a Vegas production your clients will truly appreciate watching.